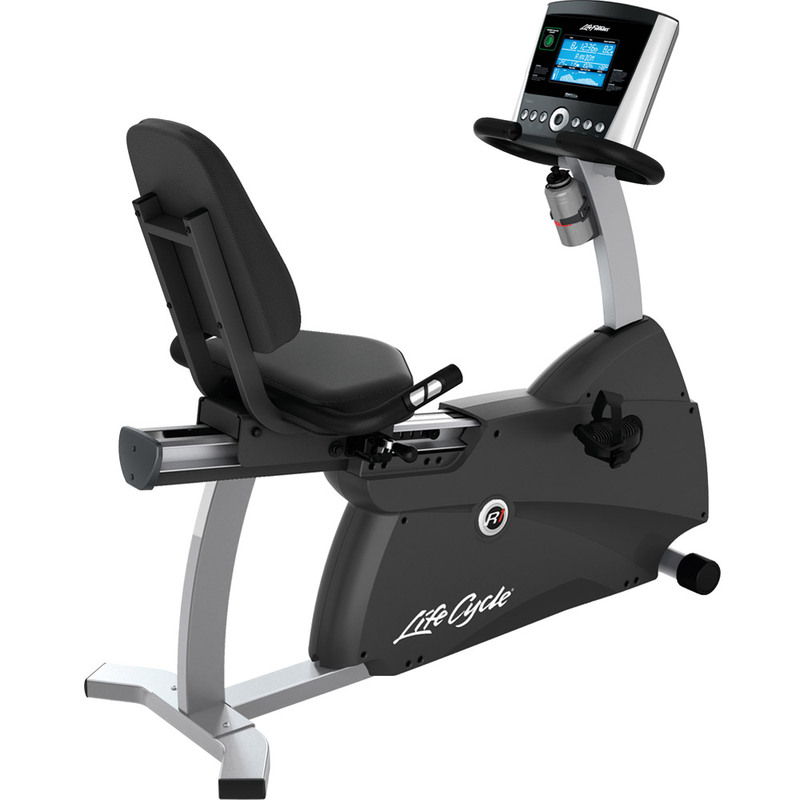 The Life Fitness R1 Lifecycle is very similar to the C1 upright version, with most of the same features and capabilities. Together they represent the entry-level (if you can call it that) lineup of the company's famous exercise bikes, two well-designed, solidly built cardio machines that become quite popular in the residential gym market. The R1 is solidly made and ergonomically designed, with a silver base and frame with black coverings and seat. It comes with the company's Go console, a bright blue backlit display with a number of built in workouts to choose from. Check out the R1 Lifecycle on Sale at the Life Fitness Store! 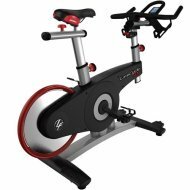 The Life Fitness R1 Lifecycle gets very positive reviews, mainly for its solid construction and commercial level design. The company takes everything users love about their health club equipment and brings in to their residential models, so you are essentially getting the same exact workout you'd get in the gym. As we mentioned, the R1 is quite similar to the C1 upright Lifecycle, with 20 levels of resistance, grip and wireless heart rate monitoring, a 300 lb. max weight capacity. The basic Go Console is a black square interface with a blue LCD screen, offering 14 built in workouts, 2 custom workouts and 2 user profiles. You can view workout metrics such as time, distance, speed, resistance level and heart rate. The R1 and C1 are the most affordable of the Lifecycles, starting at around $1,399 on sale. Compare that to the top of the line Platinum Club Series recumbent at $4,500+ and you can see how this one is a pretty good value. The R1 recumbent offers a very smooth ride, seamlessly transitioning from one resistance level to another. The 14 built in workouts offer plenty of variety, so you can definitely get a good workout that will help you achieve the results you are looking for. The bike is relatively light at 130 lbs., and you can easily move it around with the front transport wheels. It has a high maximum user weight capacity of 300 lbs. and a sold warranty to back it up. Any downsides of the Life Fitness R1 recumbent? Not really. It's a very solid exercise bike. If we were to mention one thing, it's the fact that it does not offer the second console option that the C1 does, called the Track Connect. 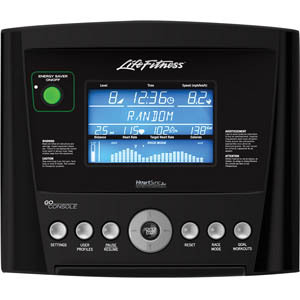 This advanced console allows you to track and share your workouts, and connects with your smart phone or tablet. We're not sure why the company does not offer the upgraded console on the R1. Other than that, this one is definitely a winner. How Does R1 Compare to the Other Life Fitness Recumbent Bikes? As we mentioned, the R1 is the base model in the Life Fitness exercise bike series. Although it gives you everything you need, you may decide that one of the other recumbents in the series has more of what you are looking for. You can see all of the specs of the R1 above, including 20 resistance levels, 14 built in workouts and a 300 lb maximum weight capacity. Moving up you have the RS1, with the S designation being step-through design. This allows you to get on and off the bike much easier as you can literally walk right through the middle of the bike. The RS1 adds the additional Track Connect console option that we mentioned above, but does not have the water bottle holder or front grip handles like the base R1 model. It's also about 9" longer than the R1, something to consider if space is an issue. Otherwise, the two models are very similar. Further up the ladder is the R3 and RS3, with enhanced cushioning and upholstery and a 400 lb. max weight capacity instead of 300 lbs. So the 3 series is a step up in terms of durability. And just like with the R1 and RS1, only the RS3 gives you the additional Track Connect console option. After the R1, RS1, R3 and RS3 you have the Club Series recumbents. These are closer to the exercise bikes you find at the health club, even more commercial-grade with enhanced features and design touches. The base Club model (soon to be discontinued), Club Series + and Platinum Club start at about $1500 more than the R1, and are worth considering only if your budget is more open, and/or if you need a more durable bike for multiple users who will be hitting it pretty hard every week. Otherwise, the 1 and 3 series Life Fitness recumbents are perfectly capable for regular home use. How Do the Life Fitness Recumbents Compare to the Competition? Life Fitness doesn't have too many rivals in the exercise bike category. They essentially created the home exercise bike, and the LifeCycles have owned the market ever since. The Life Fitness R1 is much more affordable than the closest Precor competitor, the RBK 615. That's a great bike, but it costs around $2,800, so it's about $1400 more expensive than the R1. Matrix Fitness has a great bike called the R30 recumbent, which costs around $2199 with the base console. That one is definitely worth a look, as it is compact and offers the latest technology and step through design like the RS1 and RS3. But there really is no direct competitor at this price level, which is why the R1 has become so very popular. The Life Fitness R1 recumbent is a great choice for those looking for a gym quality machine that will last for many years and provide a solid workout time after time. Yes, the Life Fitness bikes are expensive, and you don't need to spend that kind of money on an exercise bike...but you do get what you pay for. The company spends millions of dollars in research and development each year, and it shows in the design and construction. Also take a look at the RS1 which has a step-through design, an additional console option and a better parts warranty. That one costs a few hundred dollars more, but may be more appealing to you. If you need a bit more durability, you can step up the R3 or RS3 or even the Club Series if your budget is more open. Get more information and special sale pricing on this exercise bike here!